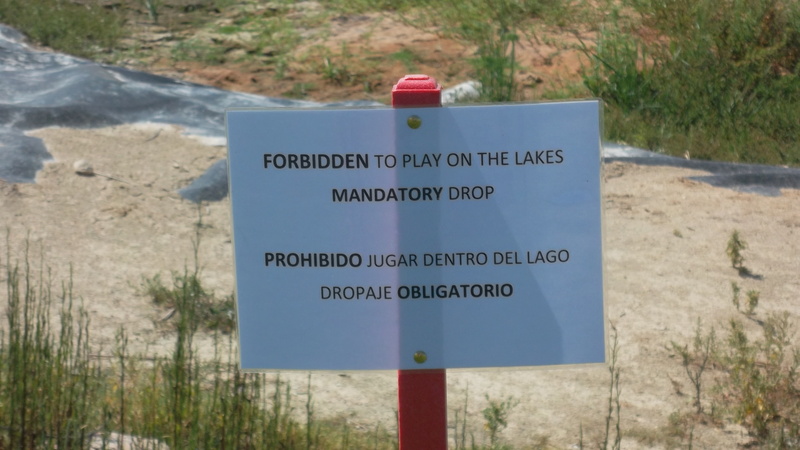 During our meeting with IRM last month we requested that players should not be allowed to play out of the empty lakes. We suggested that the directive should come from them and apply to all golfers – not just society members. Also we pointed out that the lateral water hazard markers (red stakes) should be positioned at the top of the banks, not half way down them. I am pleased to report that these suggestions have been acted upon, and are now in place. Also from Friday August 2nd preferred lies on fairways will no longer be allowed in society competitions. 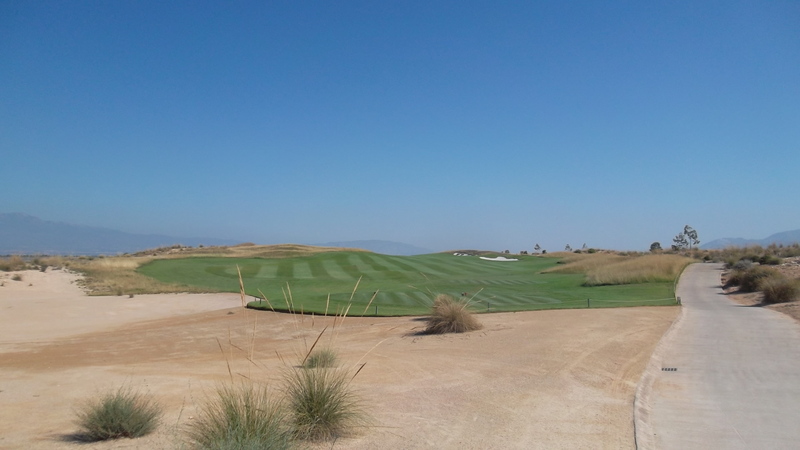 The fairways are now in excellent condition and this local rule is no longer necessary. 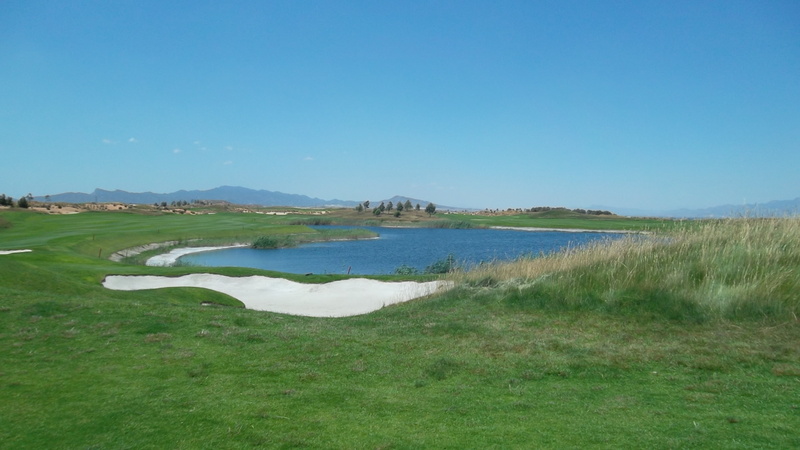 Another beautiful day at Condado, and 66 players formed teams of 4. Probably the best scoring we have ever seen in this format. The winners were very family oriented, and the first 3 teams left the others far behind. 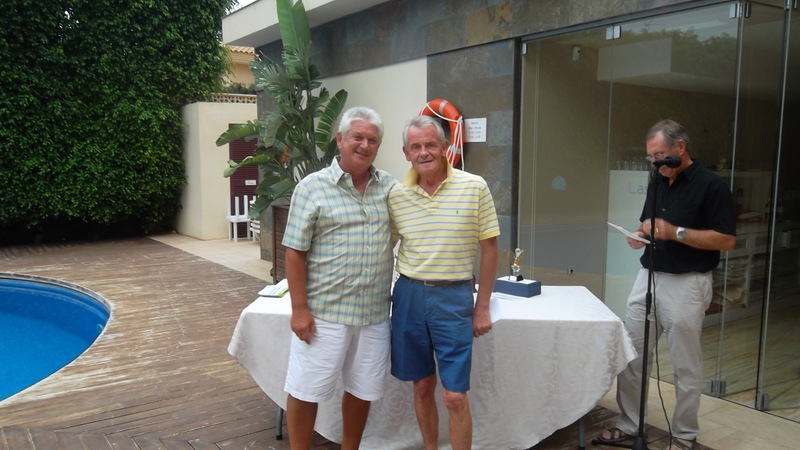 A notable event on the day was a hole in one by Brian Bowden on the 11th. His tee shot landed on the green and then popped straight down the hole! Congratulations Brian, you will receive a momento from the society to mark the occasion. 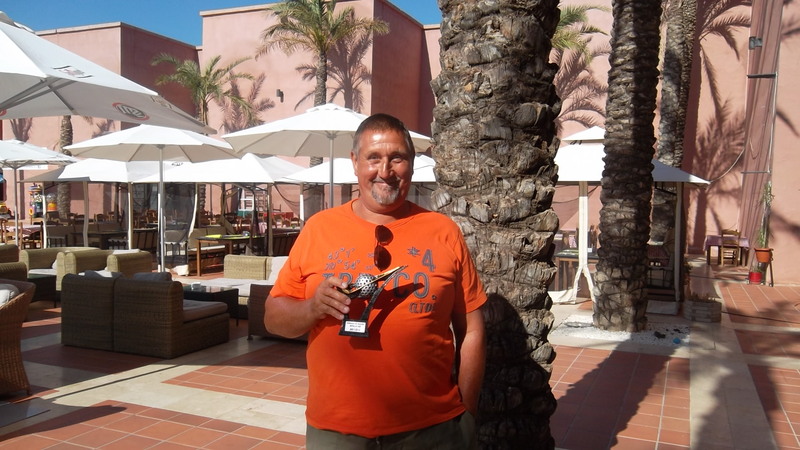 a great achievement for Brian…………. Next week is a 4 person texas scramble, and the following week is captains day. Sheets for both are on the noticeboard in the golf shop. 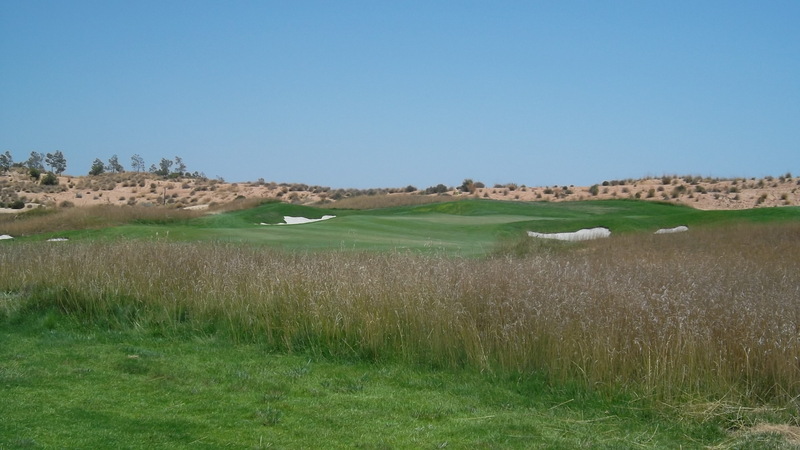 Contact Paul at pdbriggs@hotmail.com if you want to attend the evening presentation at Camposol golf club (12.50 euros for 3 course meal and entertainment). 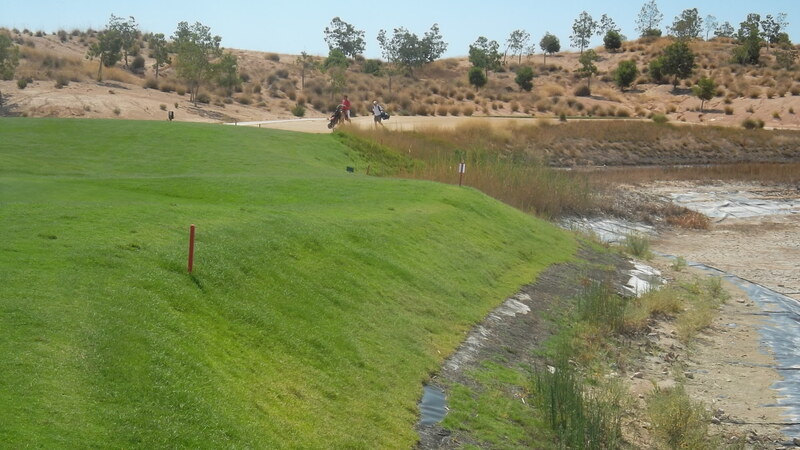 Call now at 968 11 35 35.
another view of the very difficult 10th (stroke index 13?)……….. This week it was basically pairs with both individual stableford points added together. This is similar to blind pairs but you do know who your partner is before you start. Again it was sunny, with 64 players taking part. 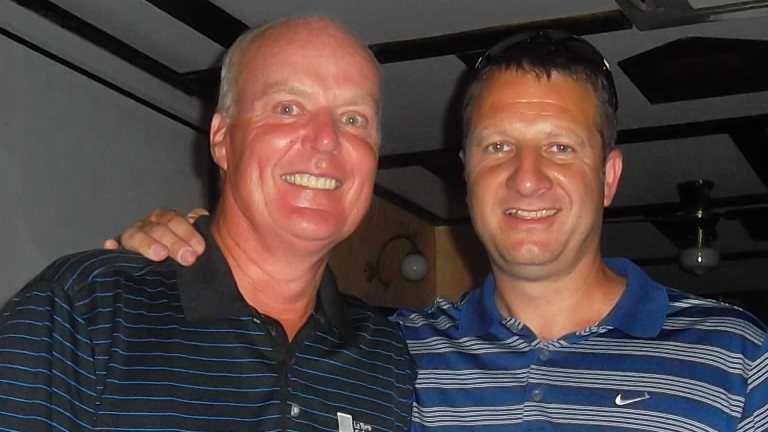 a couple of our newer members Shaun and Jamie enjoying the ride…..
August 9th is Captains Day, with the evening presentation at Camposol golf club. Remember on major events the winners need to be present to receive their prize. It is not necessary to buy a meal or stay for the entertainment – simply be there at 8pm for the presentation. Scores will be available during the day and posted on the noticeboard in the clubhouse after the cards are checked. Cost of meal is 12.50 euros. Below is the menu which you need to confirm to Paul at paul@cdagolf.com Just choose starter and main course. 42 players took part in brilliant sunshine, with a manageable breeze to cool them down. The format of strokeplay proved testing, with only 2 players bettering par. 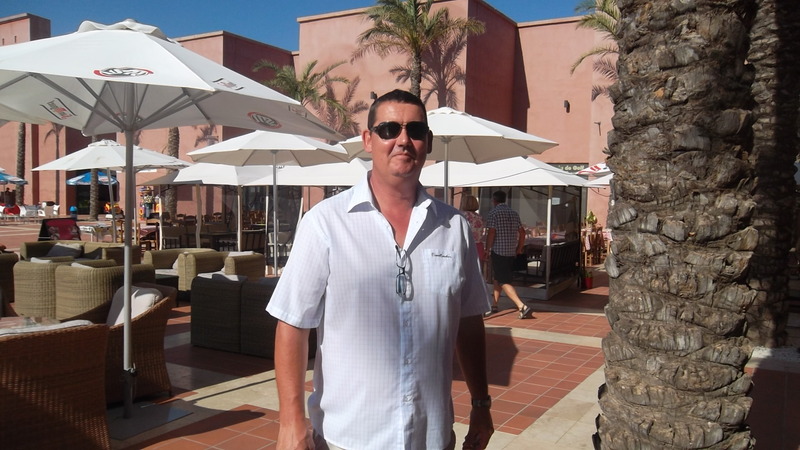 Thanks to Graham White who collected entry fees, handed cards out and sorted out the winners at the end. 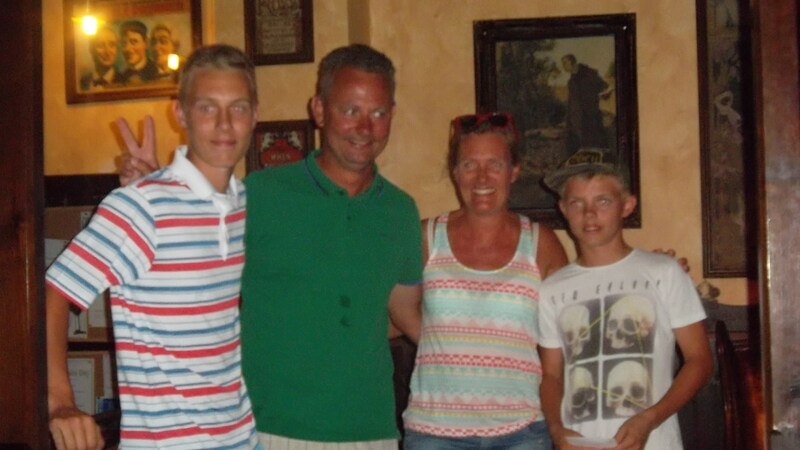 Also to Kev and Cath who arranged the evening celebration and transport. The winner of the scratch prize made an appeal on behalf of the kidney transplant unit in Liverpool. He is shortly going to donate one of his own kidneys to his brother. 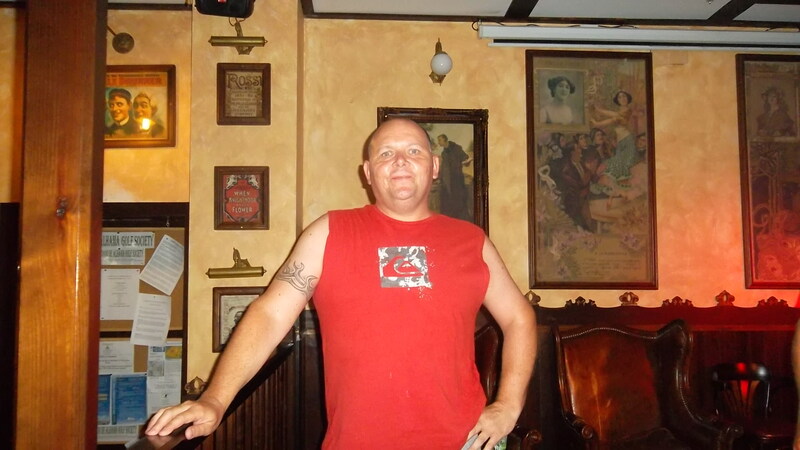 140 euros was raised on the night, and Dave Storey gave his nearest the pin prize to be raffled/auctioned. 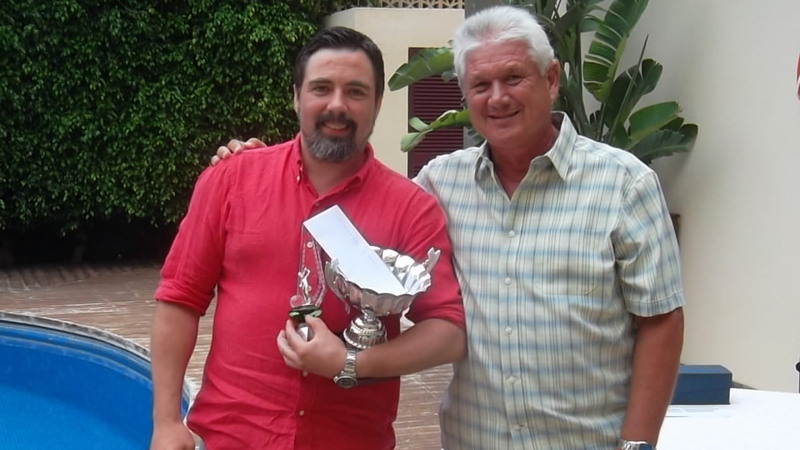 The actual lowest gross score was 79 by Paul Harrington (correction) – as in the previous 2 years he did not take his own prize. 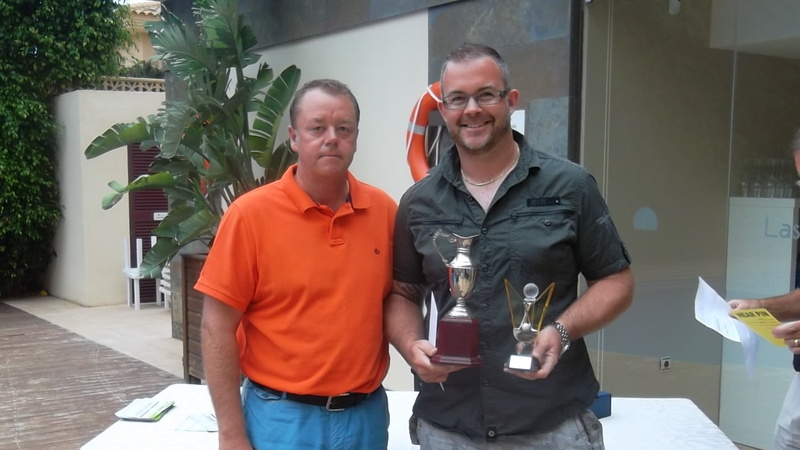 Dave won 1st division & nearest pin…..
An addition surprise was a presentation made to Graham and myself. On behalf of the society members, the captain presented us both with an engraved mantle clock in recognition of our 3 years commitment as captain and president. It was a very nice gesture, and we will both treasure our momentos because the society means so much to us. 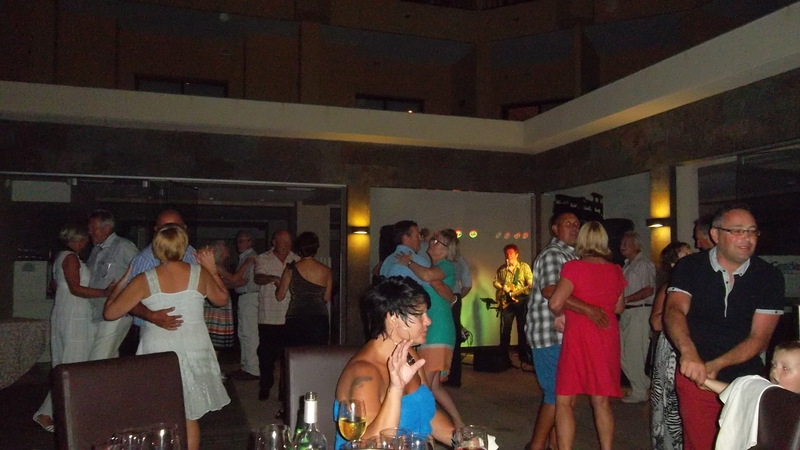 Everyone enjoyed the food, music and ambiance around the pool at the Amapola restaurant in Bolneuvo, and as you can see many were dancing the night away. 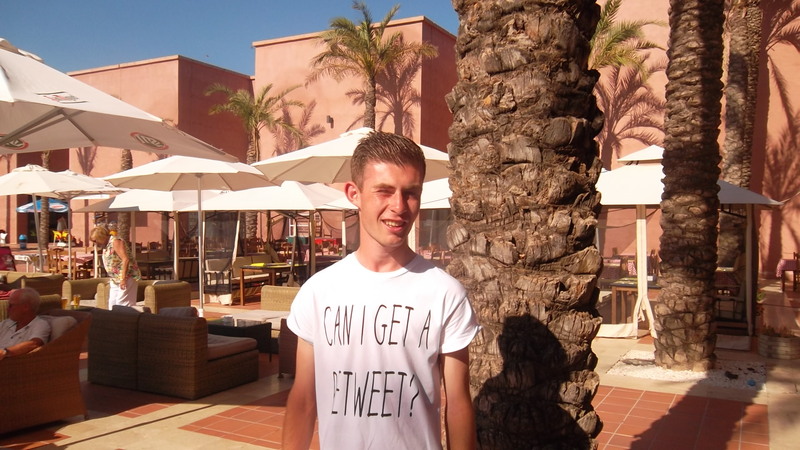 plenty on the dance floor……. Next week is a pairs aggregate competition. 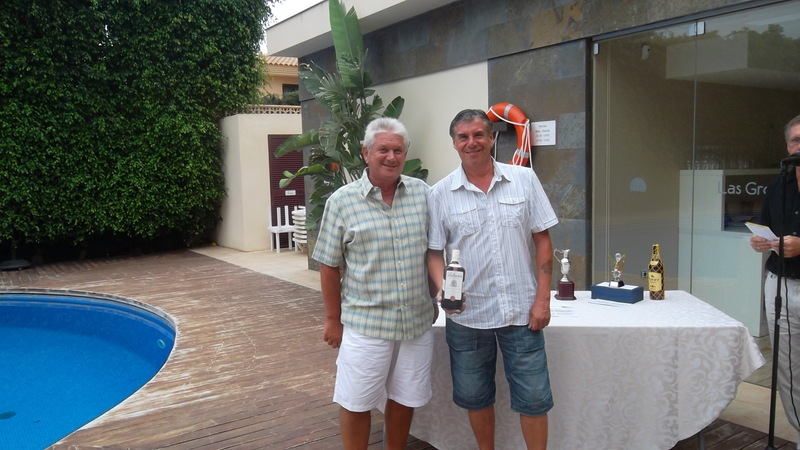 Captains day is only 3 weeks away, and Paul will be holding his evening presentation at Camposol golf club. 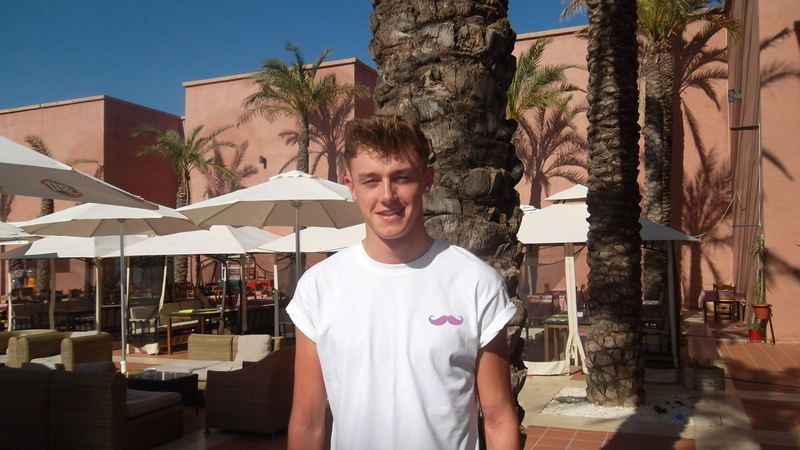 Pitu is the entertainer, and I can assure you he is fantastic and not to be missed. 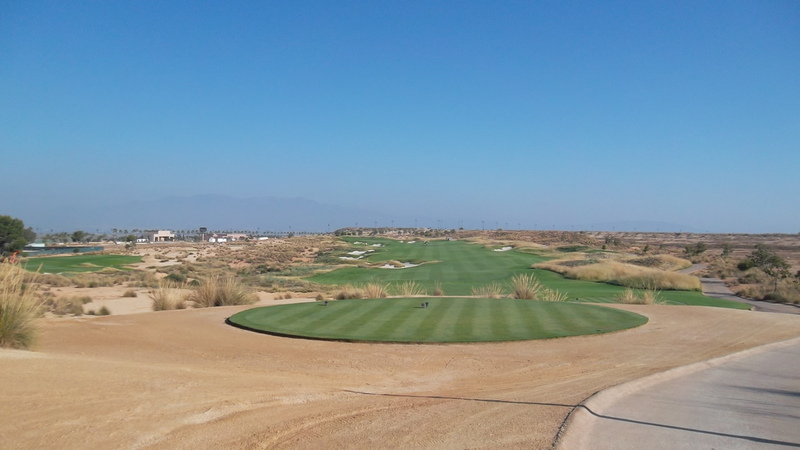 looking good on the 2nd…..
Another hot day, with no wind to cool the 40 players down. A breeze did get up later and was welcome to cool us down a bit. The condition of the course has improved even more, shame about the lakes. make the most of it Les…. your new handicap is here! 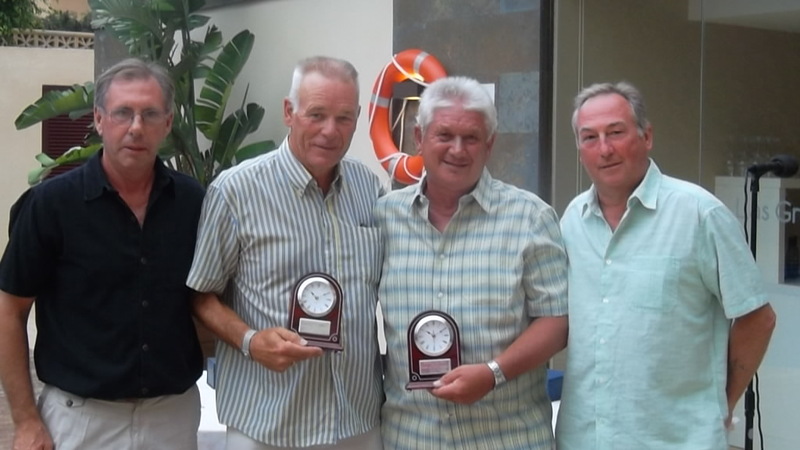 Paul jnr is now winning in the seniors…..
Neil’s been away for a while but back in the prizes…..
Billy had a great score to win the juniors prize…. The sheet is in the shop for next weeks 2 majors – Barry Barker strokeplay and Paul Harrington scratch competitions. The bus is now full for the evening presentation at the Amapola restaurant in Bolneuvo. If you want to come (with your own transport) contact Kev at kevin@cdagolf.com 17 euros for 3 course meal with wine and live entertainment. 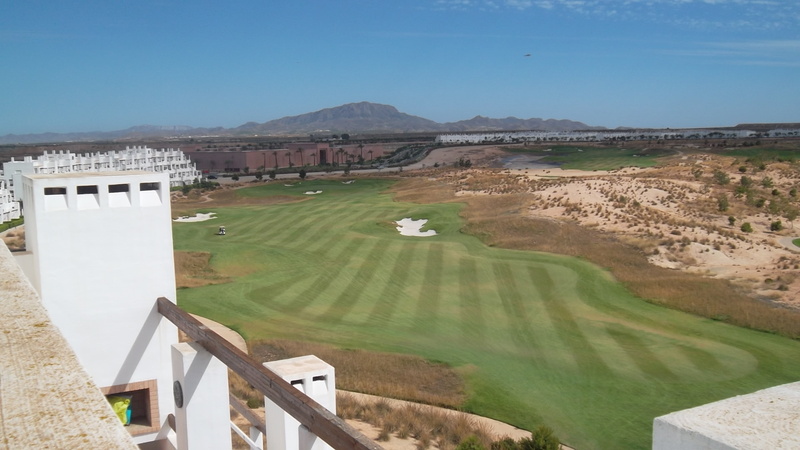 The next IRM Golf Experience Tour competition will be held at La Torre on the 13th of July. .The entry fee for non members is €40.